Pablo Neruda's poetry is among my favorite. 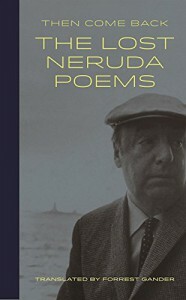 This edition was particularly wonderful as its a collection of previously unpublished works unearthed after Neruda's death. The english versions were translated by Forest Gander, but the real beauty is in the back half of the book, where the original Spanish lives. I'm not fluent in Spanish, but I know enough to be utterly swept away by the enormous beauty of Spanish poetry.